Another UK Custom Military Omega Seamaster: RN Clearance Diver – I Already Have a Watch. Yet another one of these custom Omega Seamaster Watches made for the British Military has emerged on the web, this one made in a limited series of 150 especially for the Mine Clearance Divers of the UK Royal Navy. It seems that many units and regiments are taking advantage of Omega’s custom purchase offer to military units, beginnig as far back as the X-33 in 19998 in its modern iteration. 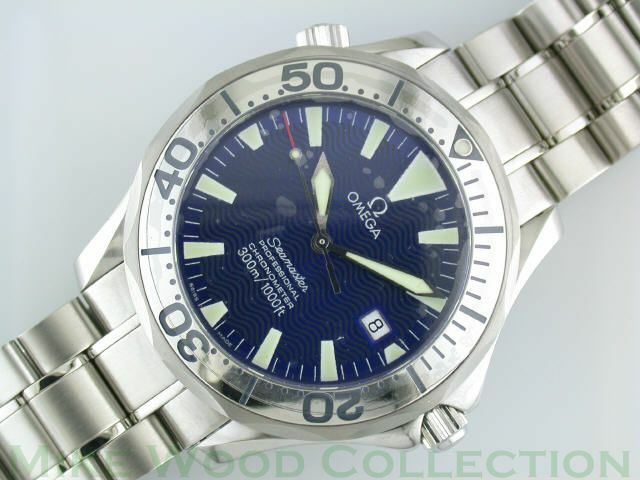 From the selection of this particular Seamaster model it starts to seem quite clear that the watch was likely intended mostly for shore and off-duty wear, as the brilliant electric blue dial and shiny, reflective polished bezel are not exactly the most desirable features in tactical applications. As I’ve written previously though, the other UK military custom models were intended for wear “on camp” as well. And as with the others, these are privately purchased and owned watches, not official government issue. Royal Navy Clearance Diver Omega Seamaster Professional with "electric blue" dial and polished steel bezel. 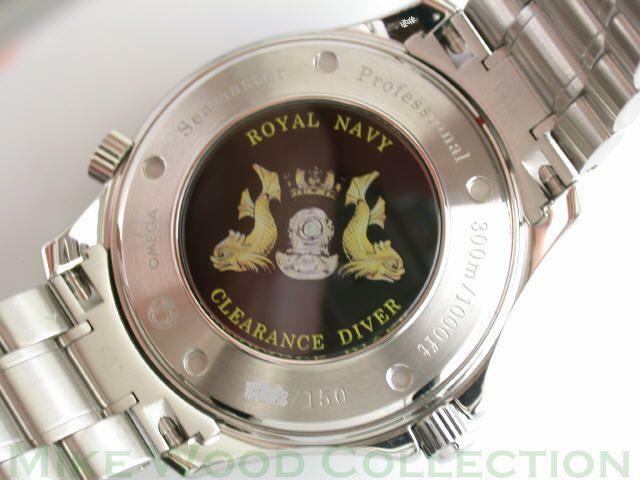 Custom Royal Navy Clearance Diver caseback image. The RN Clearance Diver Seamaster is also interesting as it seems to bear two new and distinctive characteristics. The “uniquely numbered Your Watch is Unique” card included along with the standard Warranty, COSC, and pictogram cards Omega typically includes. 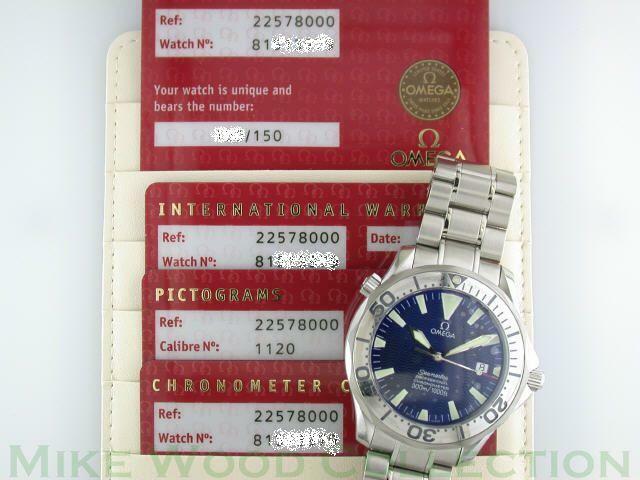 Also notable is that Omega has issued an entirely new 2257.80.00 reference number for the Clearance Diver Seamaster, whereas previously discovered UK military customs were issued with the same reference numbers as their regular production civilian counterparts. The regular “electric blue” Seamaster Pro was listed with ref. 2255.80.00, vs. the 2257.80.00 on the Clearance Diver Seamaster, and at the time of writing I could neither find any other reference to the 2257.80 nor was it listed in the Omega database. For more info on the civilian counterpart 2255.80 “Electric Blue” Seamaster Professional, see Downtown Mike’s excellent comparison review with the Omega Planet Ocean. Congratulations to new owner Mike Wood of The Old Watch Shop, and my thanks for his graciousness in allowing me to post his watch and images here. Posted in Military Watches, Modern Watches, Omega Watches. 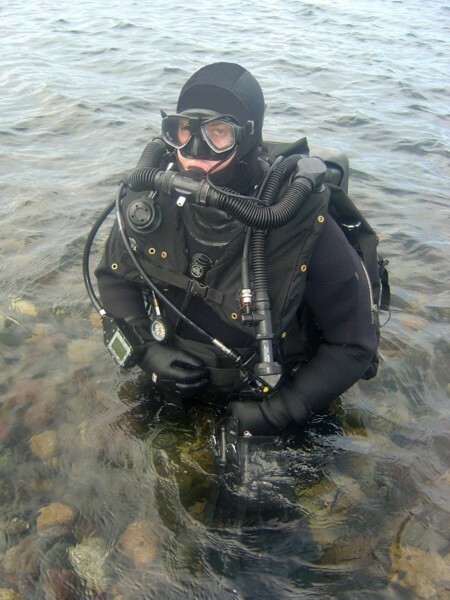 Tagged with clearance divers, Military Watches, Omega Watches, royal navy, uk. Is there anywhere that I can buy this watch?